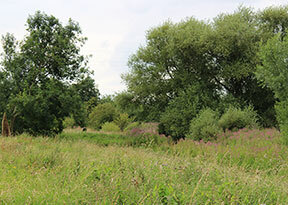 The burial meadow is located adjacent to an existing area of old meadow and woodland which already has a rich natural biodiversity, near the village of Owmby – 10 miles north of Lincoln. The surrounding land has been farmed by the same family for over 130 years. The family has a keen interest in landscape conservation and also run Brightwater Gardens in nearby Saxby. The concept is to create a haven of peace and beauty where the woodland and meadow will be a lasting feature in the landscape. 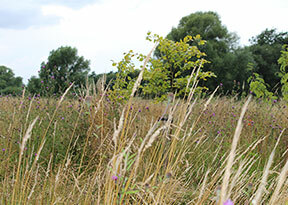 The site is being planted with glades of native trees in open meadow which is becoming a rich habitat for birds and other wildlife. It is an attractive landscape which is well balanced with nature and enhances the surrounding countryside. 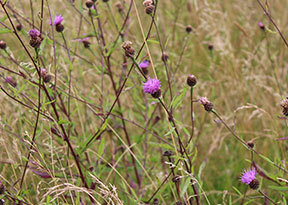 Burials take place in areas of open managed meadow interspersed with glades of native trees where we encourage the planting of trees in memory of loved ones. All graves are clearly recorded to enable easy recognition in the future. 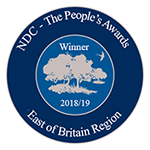 Brightwater Green Burial Meadow We are delighted to announce that we are runners up in this year’s People’s Award for Best Burial Ground in East of Britain this means that we are one of the top green burial grounds in Britain. Brightwater Green Burial Meadow Brightwater Green Burial Meadow updated their profile picture. The Woodland Trust Are you watching "Climate Change - The Facts" with Sir David Attenborough? We're working to combat climate change with trees and increase the resilience of our natural ecosystems.